Even while sitting on North Lincolnshire’s flatlands, Winteringham Fields manages to rise above most of its competition. 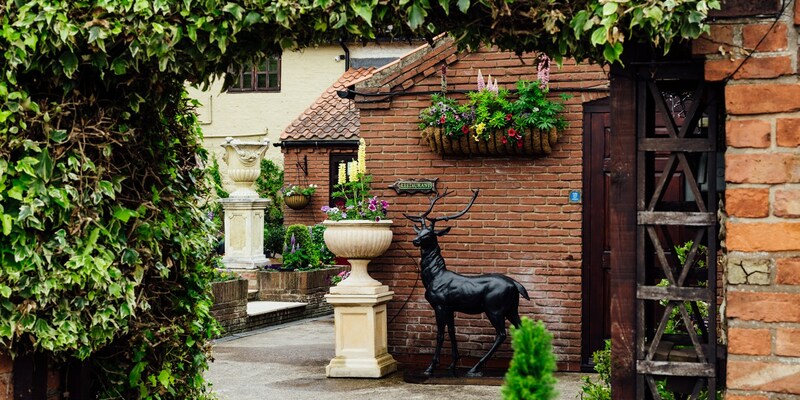 The restaurant, which has been led by Head Chef Colin McGurran since 2005, prides itself on sourcing ingredients locally; fish is sourced each day from the nearby Grimsby, while meat and vegetables are sourced either from local farms or from Winteringham’s own small farm. 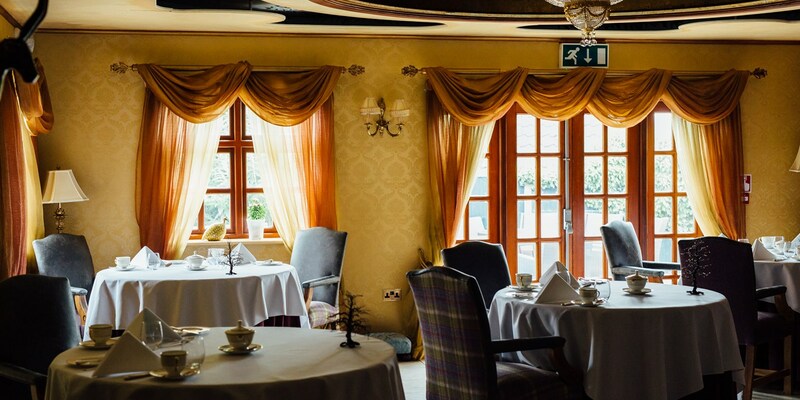 Winteringham Fields has drawn some of the best cooking talent in the UK in its time (Great British Chef Robert Thompson is a former Head Chef) and in McGurran has found a chef well worthy of keeping up that tradition. The ‘surprise menus’ reflect McGurran’s emphasis on nature, with seasonal ingredients treated with the utmost respect by a chef deeply attuned to flavour. There are flashes of McGurran’s imagination at play, too, his signature dish of ‘quail in the woods’ being a prime example. The converted barnhouse also boasts rooms dripping in five-star luxury and with scenic views of the pastoral landscape. A night’s stay in the Lord Fitz Hugh suite is sure to make the food taste that little bit better. The converted barnhouse also boasts rooms dripping in five-star luxury and with scenic views of the pastoral landscape. Colin McGurran was born in Zambia, returning to the UK as a boy. He trained at Bournemouth College before getting a taste of fine dining working at the 2-Michelin-starred Domaines Haut de Loire in Onzain, France. He later moved to Abu Dhabi, accepting a post as banqueting manager for the UAE royal family. 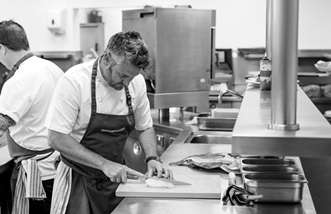 The chef is a popular face on television including Saturday Kitchen, Ramsay’s Best Restaurant and Great British Menu. He has appeared on the latter a number of times, winning in 2012 with his staggeringly accomplished Quail in the woods starter – created from over 50 ingredients – and again in 2014 for his nostalgic Dickin medal dessert.